This one feels pretty obvious. Game of Thrones (2011) is a cultural phenomenon and officially the most-successful production in HBO history. Between its massive cast, global location shooting, and extreme special effects, it's no wonder the series requires a hefty budget per episode. The series builds an entire fantasy world and is marketed to the hilt, translating George R.R. Martin's epic novels onto the screen. Of course, the expense is surely justified. HBO must make a killing off merchandise and revenues from the series, not to mention increased subscriptions to their premium service. The series is responsible for launching the careers of countless younger actors while providing seasoned players with massive exposure. 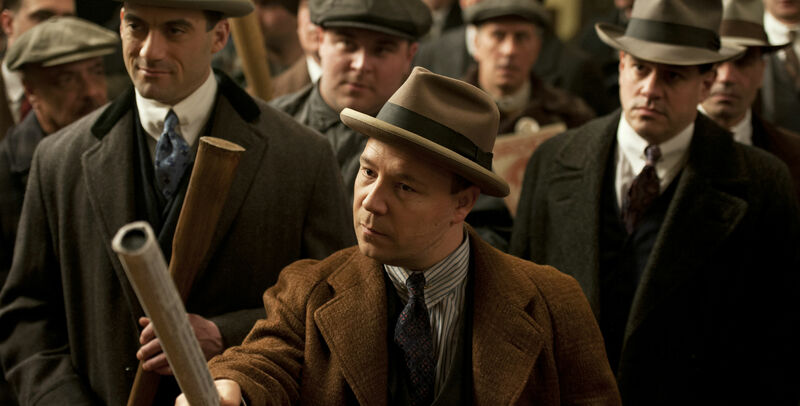 HBO's recent historical drama blockbuster, Boardwalk Empire (2010), tells the story of Atlantic City, New York and Chicago gangsters during Prohibition. The Martin Scorsese and Terence Winter-produced series features a lavish 300-foot recreation of the Atlantic City boardwalk, fantastic period sets and decorations, an extensive cast of renowned actors, and egregious attention to detail. The pilot episode alone cost $18 million to make, establishing it as one of the most expensive single episodes of television in history, with each subsequent episode clocking in at around $5 million. 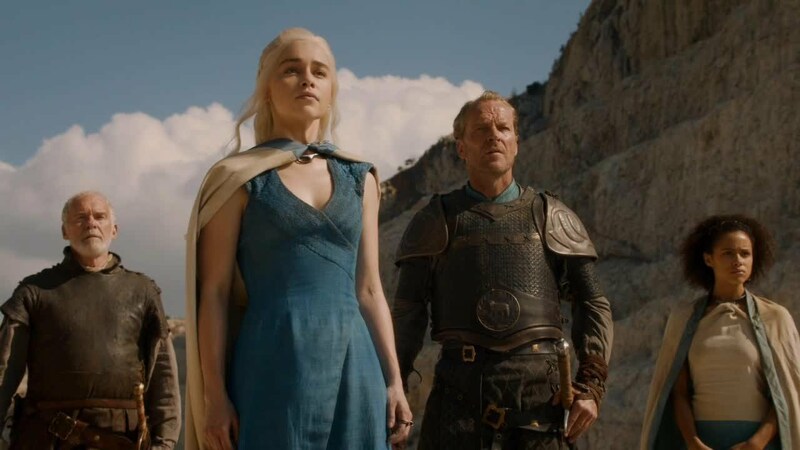 Like Game of Thrones, the series drew on the existing star power of some of its cast and launched many of its other players into wide renown. 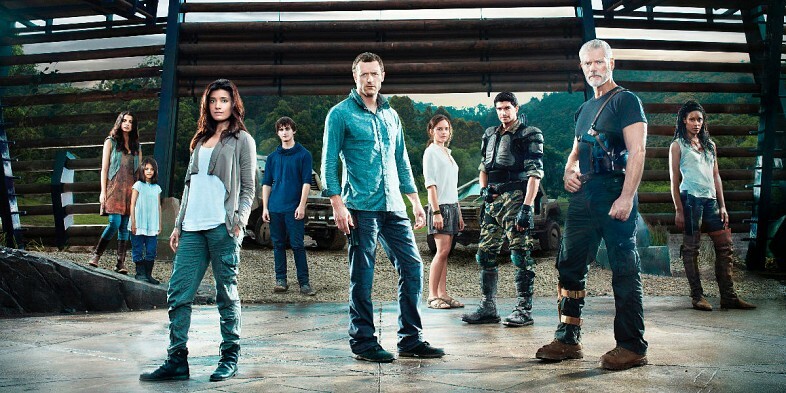 Fox's failed dinosaur/time traveling/science fiction series Terra Nova (2011) only ran for one season, but was supplied with $4 million per episode during its single-season run. Because of Steven Spielberg's attachment to the project as producer, Fox greenlit the 13-episode series without following the standard path of first producing a pilot. The bill for its first episode was nearly $14 million, and the huge sets and special effects rampant throughout every episode (along with on-location shooting in Australia) kept the bill high. Viewership on the series wasn't especially low, but it wasn't high enough to justify maintaining the cost for such an elaborate production. With the precedents set in its first season, scaling the series back would likely prove equally fatal, so the series was scrapped. Another of HBO's big-budget productions, Deadwood (2004) spared no expense. Instead of phony building setpieces, HBO constructed an entire, legitimate old-west town for its use. Stores, stables, saloons, houses -- they were all real, crafted from the ground-up with every detail authentic to the gold rush period of the American west. The show bagged five Emmys for design and cinematography in its three-season run, proving that its expensive visuals were worth the investment. 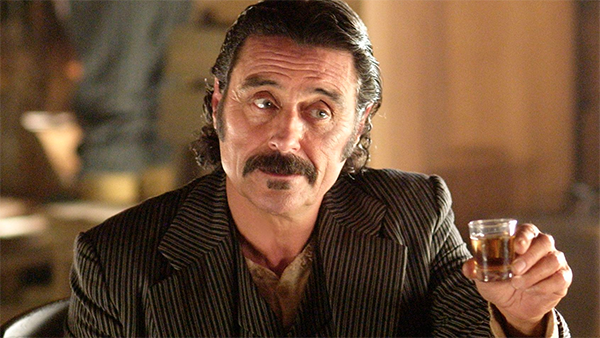 Unfortunately, Deadwood existed during a time in HBO's history where the budget wasn't justifiable against the other offerings at the time. 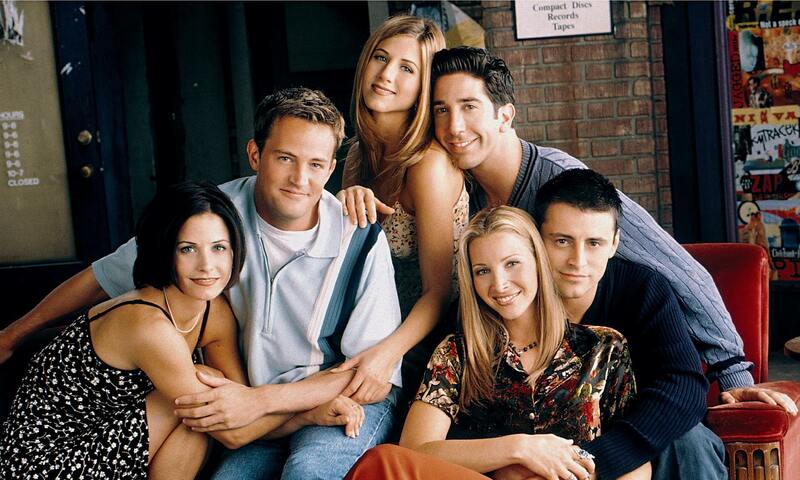 Friends (1994) didn't start as one of the most expensive shows on television, but certainly ended as one. Sitcoms are traditionally cheap with their limited sets and short run times, but Friends was a phenomenon throughout its ten-season run, and by its final year, each member of the gang was pulling in $1 million per episode. The comedic cohesion formed between its cast members is what makes the show's successful brand of comedy work. Realizing that, the actors were able to hold the network hostage for equal, top-tier pay. The salaries of these six made up the majority of Friends' total budget, but their merry misadventures continues to be successful over a decade after the series' closure. 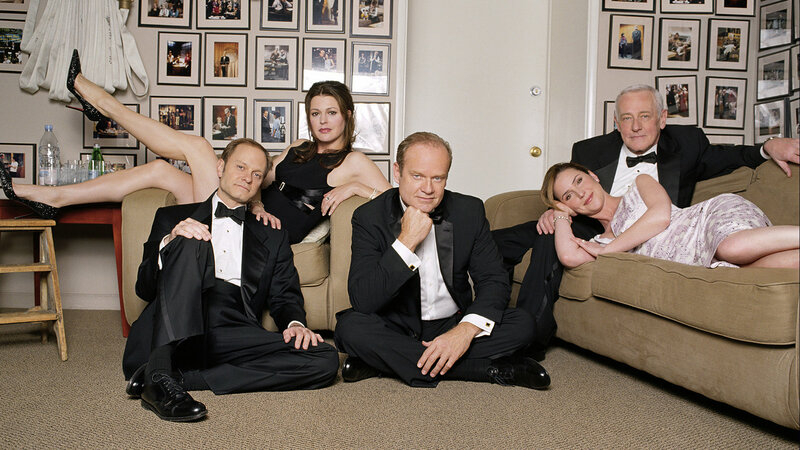 Like Friends, the equally-popular Frasier (1993) saw star Kelsey Grammer bringing home $1.6 million per episode by the final season. Co-star David Hyde Pierce was commanding $750,000 at the time, with John Mahoney just behind him at $700,000 and Jane Leeves at $367,000. Even the two dogs used to portray Frasier's lovable pooch were getting $10,000 per episode by then, making the bulk of Frasier's budget the paychecks of its stars. Camelot (2011) was the first big project for new Starz CEO Chris Albrecht. He said, "The story of Arthur isn't history, it's mythology, and Camelot isn't a place but an idea of hope that has resonated at different times throughout history." Unfortunately for Starz, another big-budget epic fantasy story called Game of Thrones started that same year over at HBO, the network better-known and better-respected for producing this type of content. Starz shelled out $7 million per episode for its single-season run of Camelot, scrapping the series for understandable incongruence between viewership and budget. 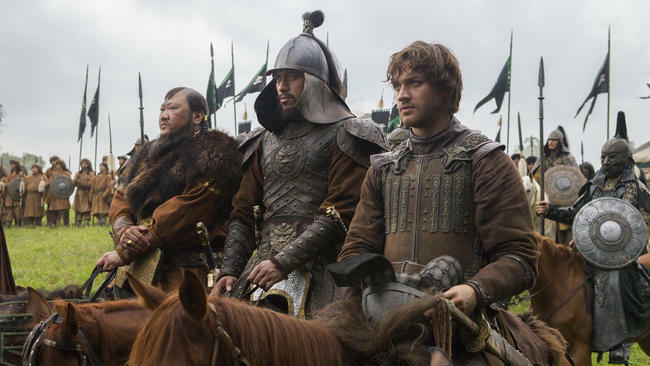 Consistently unafraid of taking gambles when it comes to shucking out the cash, streaming giant Netflix got in on the epic fantasy period drama with Marco Polo (2014). At a cost of $90 million for a 10-episode first season, Netflix clearly feels that to be a contender you have to be willing to throw down against the best in the league. 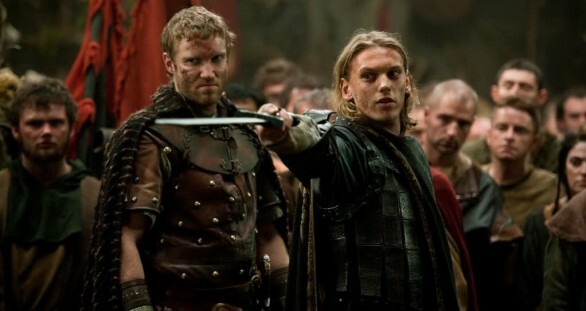 The network is still debating whether or not to pursue more installments of the series, but critical and popular reviews have been less than favorable. 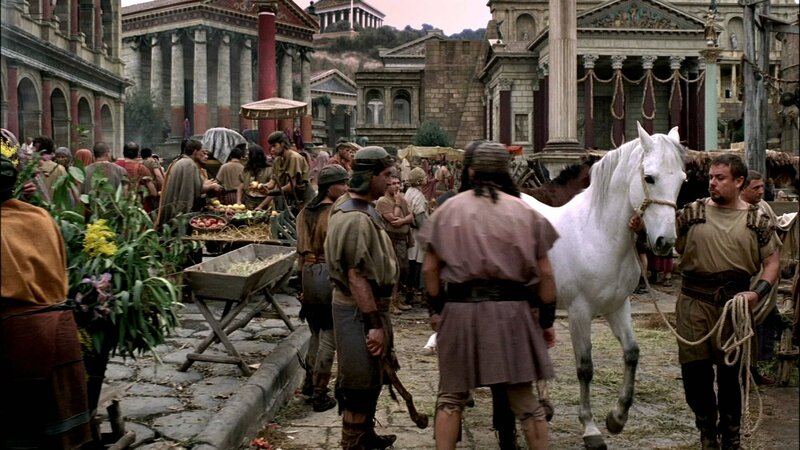 Find any single screenshot of HBO's Rome (2005), and it just looks expensive. The period piece ran at the same time as Deadwood for one season, ultimately remaining on the air for two seasons and 22 episodes. Originally pitched as a miniseries, HBO ran with it as a full-blown series in partnership with the BBC, in which HBO paid $85 million and the BBC paid $15 million for production of the first season alone. It ws the largest international partnership the BBC had been involved with to date, bringing the per-episode cost to about $9 million. 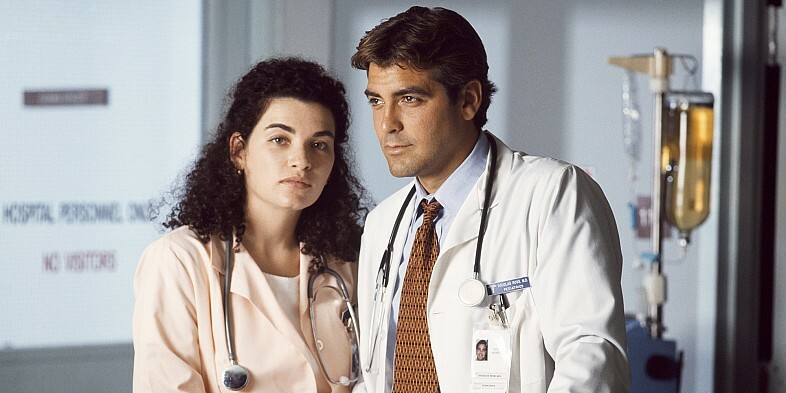 Once George Clooney and his dreamy eyes became mega famous and movie offers started flooding his way, NBC had to fork over major dollars to keep E.R. (1994) running and Clooney on the show. E.R. ran for 15 total seasons, reaching its peak budget demands in the late 1990s, only about a third of the way into its overall run. Such a situation is unusual for any television show, and was entirely the consequence of demand. Retrospectively, whether or not the acting budget was worth the investment seems pointed towards "no," as Clooney left the show by 1999 and the series' audience had diminished significantly. Still, E.R. managed to stick around for several more years after budget cuts enabled production to keep going. It's clear that a few consistent factors are the primary reasons shows get expensive, with authentic representations of different periods and the demands of famous cast members chief among them. With the formerly-distinct lines between television and film constantly being flexed, as actors continue to seamlessly move between the two mediums, and with production expectations always on the rise from audiences, we're likely to see more and more series putting up heavy numbers moving forward.